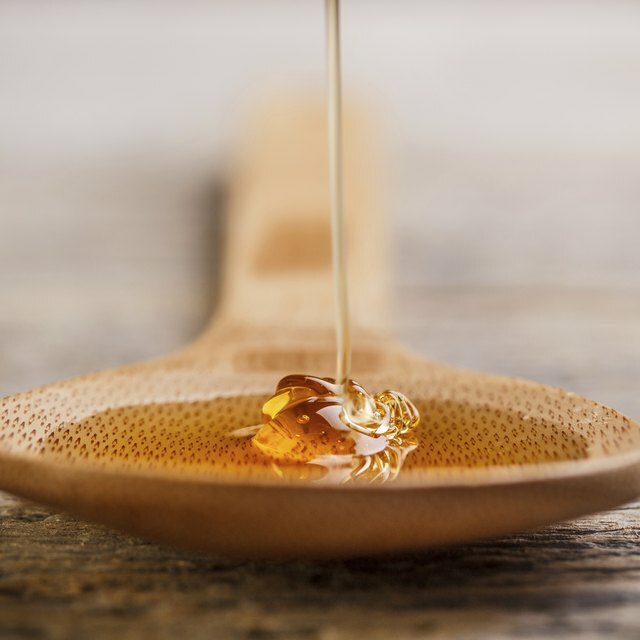 1 How Many Calories Are in a Tablespoon of Honey? Hibiscus flowers are used in the West Indies and other tropical areas to make beverages, syrups, jellies, jams, pies and other desserts. However, if you grow the large flowers in your home garden, you can use them fresh or dried to make your own syrup. Hibiscus syrup can be served in mixed drinks, on pancakes, over ice cream or any where else you would normally use simple syrup. Bring 1 cup of water to a rolling boil over medium-high heat in a small sauce pan, and then remove from the heat. Add the dried hibiscus flowers to the water, cover, and allow the mixture to steep for 10 to 15 minutes. Strain the hibiscus flowers from the water through a fine mesh sieve, allowing the liquid to drain into a clean sauce pan. Place the pan over medium-high heat and bring the liquid to a boil again. Discard the flowers. Add the granulated sugar to the boiling liquid, and stir constantly until completely dissolved. Reduce the heat to low and simmer the mixture for an additional five minutes. Remove the pan from the heat and allow the syrup to cool for 30 minutes. Strain the cooled hibiscus syrup again through a fine mesh strainer into a clean pint-sized glass jar. Secure the lid tightly in place, label with the contents, and store in the refrigerator. This syrup will keep up to 30 days. 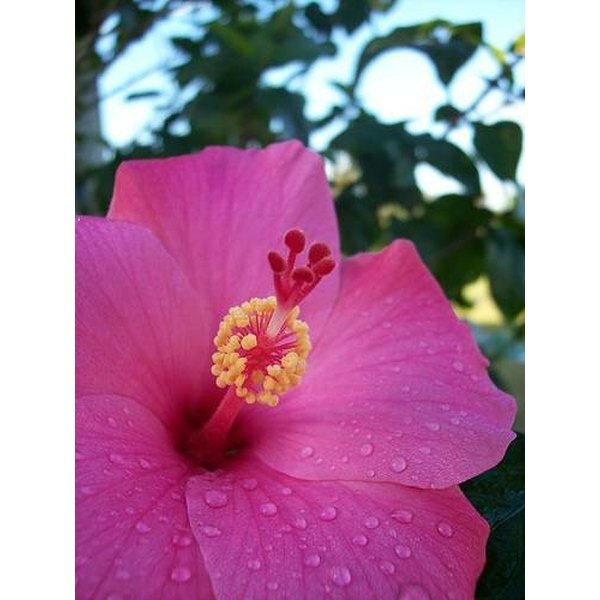 Two large fresh hibiscus flowers may be used in place of dried, if necessary. Use blossoms that are opened fully and have been harvested the same day for best results. This recipe yields 2 cups of syrup. Do not use fresh or dried hibiscus flowers which have been sprayed with pesticides, as this can be detrimental to health. Make sure the flowers are organic or otherwise safe for human consumption. Can You Use Creme De Cassis As a Substitute for Grenadine?